In some ways, the 718 Cayman reminds us of the new era of Formula One. Faster, more complex, with environmentally-friendly engines, but there’s still a nagging sense that something of value has been lost. Make no mistake though, at least as an ‘S’ this is the best pound-for-pound sports car you can get. 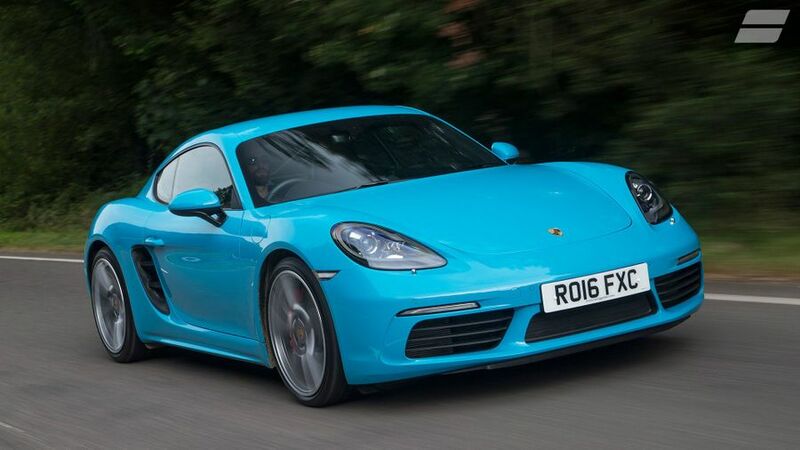 The quickest version of the quicker, sleeker, and – whisper it – cheaper Porsche Cayman. Previously, the difference between the standard car and the ‘S’ was in capacity, and power. The same is true in the 718 family – but they now feel further apart than ever. 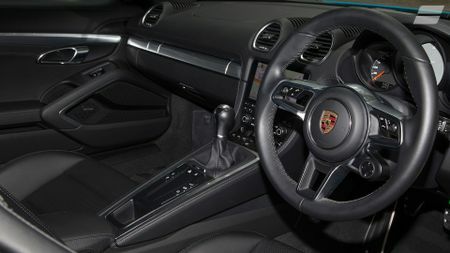 That’s because the boosted ‘S’ features clever variable turbine technology that was first developed on the mighty 911 Turbo, so it both performs, and responds in a very different way to the 2.0-litre. It’ll cost you just under £10,000 more than the standard model, and for that you get an extra 50bhp, 0.5-litres of capacity, two exhausts (the standard car has a single oval tailpipe), and stronger brakes. As both cars feel so much quicker in-gear than before, is it still worth splashing out the extra cash for the sportiest version? A grower, and no, not in the country fayre, marrow contest sense. This is a car that demands time, and a little patience on the part of the driver to fully appreciate, although 981 owners might disagree. 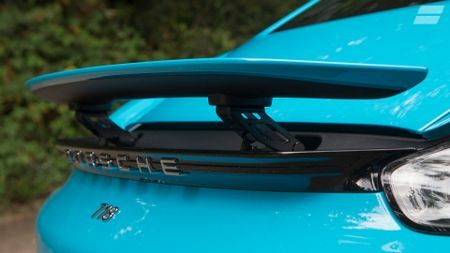 That decision to reduce the number of cylinders has without doubt put a major dent into the Cayman’s appeal as a sports car. Engine downsizing is not something drivers notice or care about in large, comfy executive saloons, but in a sports car, it really does matter. However, rather than crying over lost aural thrills, let’s start from a clean slate, and tick off the positives. Is this the best looking incarnation of the Cayman yet? Absolutely, especially in the Miami Blue paint of our test car, which certainly received lots of attention. 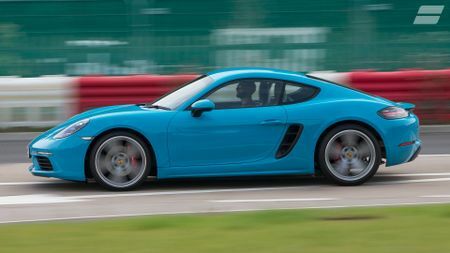 Is this the fastest Cayman yet? Well, not if you include the future classic that is the GT4 – but it’s probably best not to mention that car right now. What the 718 S gives you, is useable speed. 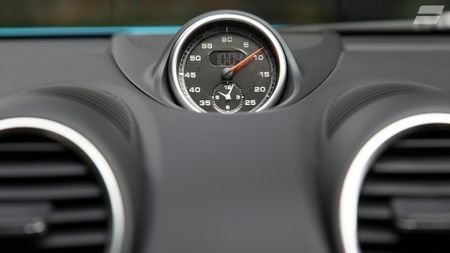 In the standard car, the tall gearing means it’s easy to bog down at low speed, and you notice the flat-spot in performance before the turbo gets spinning fast enough to do its best work. 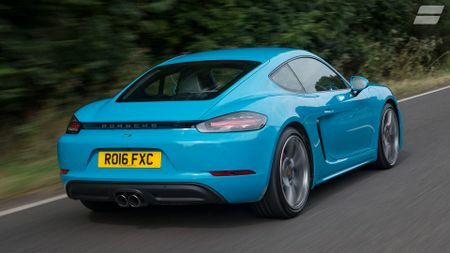 There’s still a pause in the Cayman S, but above 2,500rpm, it pulls like a train. 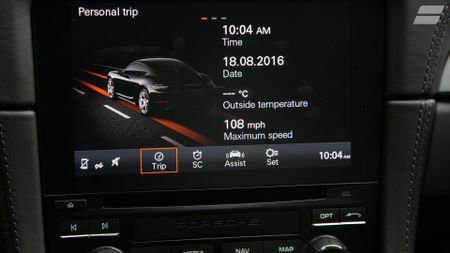 There’s no howl urging you forwards anymore, but because the brakes are so good, with strong bite and wonderful, progressive pedal feel, and the manual gearbox is so satisfying, with a positive, mechanical action that’s precise and weighty – you’ll want to work this engine out, and start piling on speed with alarming ease. The mid-engine chassis still sparkles and entertains in a way that no rival can match. The suspension is firm, but supple enough to deal with the most misshapen British B-road: the front-end dives into corners, the steering telegraphs feedback into your palms. For all the magic that has been lost from the powertrain, on the right road there is still no sports car that can thrill like the Cayman can. The fact it’s still just as practical, useable, and beautifully made as it always was (more so when it comes to the interior) is almost a given – it still exists in a class of one. We hope faster versions will be able to bring back more of 981’s spirit though. It’s an interesting decision. 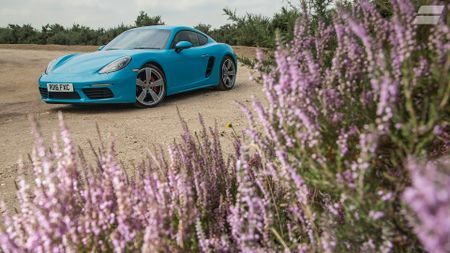 You feel the loss of the flat-six engine more keenly in the Cayman S than you do in the standard car, but for our money it’s still the best choice for true Porsche performance. Its faster than you’ll ever need it to be on the road, easier to drive smoothly than the 2.0-litre, and it still has the sweetest combination of chassis, driving position and manual gearbox. Granted, £50,000 is a lot for a car which no longer sounds or feels as special or exotic as it could, but rest assured that this is still the best-handling, most engaging sports car you can buy at this price. Interested in buying a Porsche 718 Cayman?